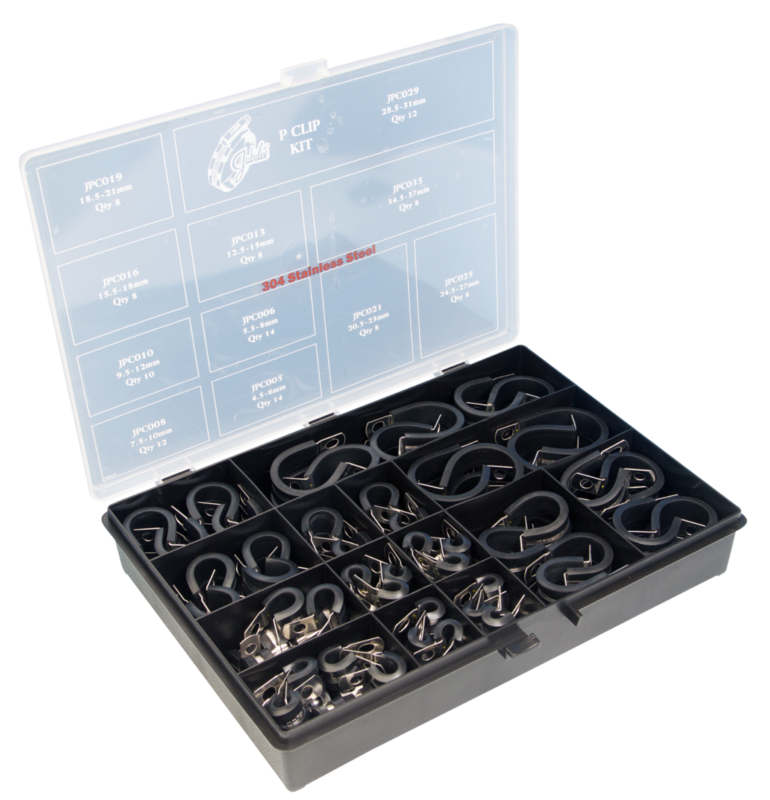 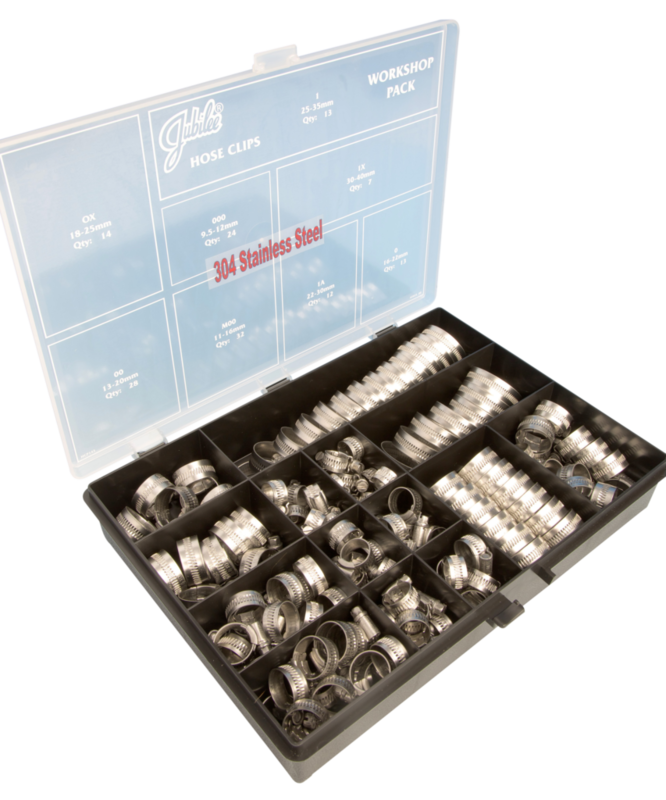 The Jubilee ‘P’ clip kit contains 110 of the most accepted sizes of stainless steel ‘P’ clips in a versatile re-useable plastic container suitable for any challenging environment. 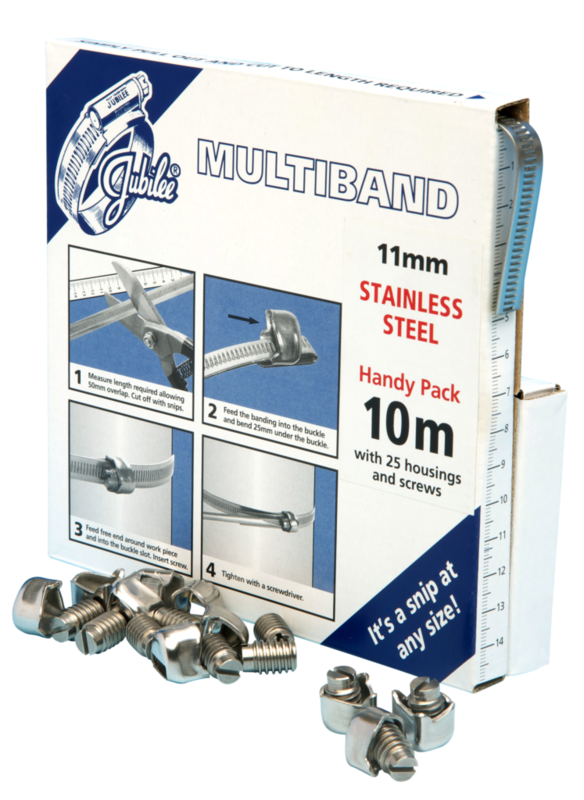 The clips in this assortment pack would be suitable for retaining pipes, cables and hoses between 5mm and 35mm in diameter. 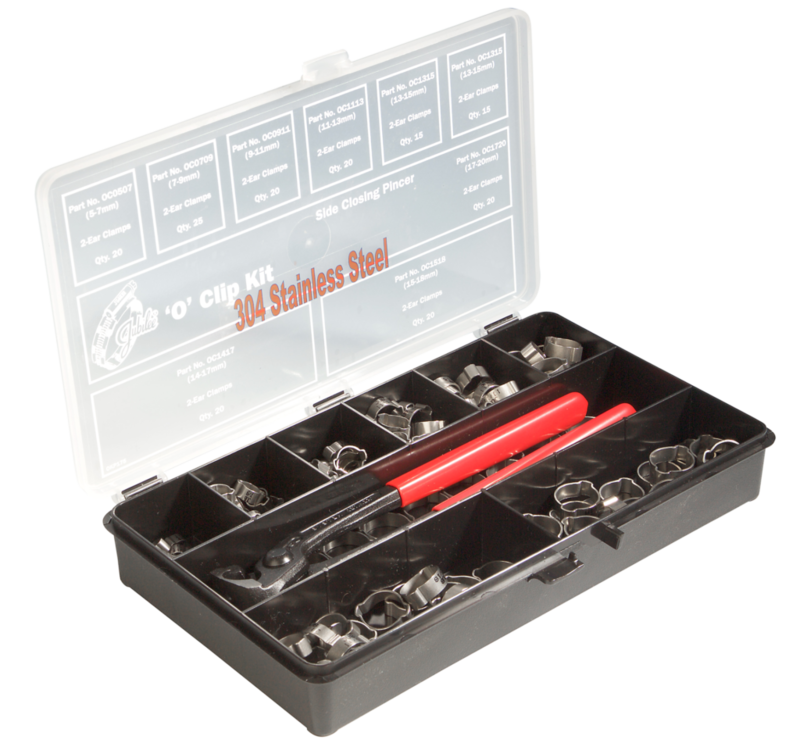 Also available with mild steel ‘P’ Clips (JPCK110MS).